I have admired skyscrapers for as long as I can remember. So whenever I am in city with high buildings I look for one to go up in. New York is always a great place to do this. One my second visit to New York in 2000, we were on top of the North Tower of the World Trade Centre. Since then I have also visited the Empire State building during the day and once at night. The view after dark was something special. So high on my priority list for places to visit in Chicago was Willis Tower (formerly Sears Tower). Willis Tower is the tallest completed building in the US at the moment. But will be over taken by One World Trade Centre in New York, one it is completed. The Willis Tower was the first building built with a bundled tube design; at the time of completion in 1973 it was the worlds tallest building. A title it held onto for 25 years. 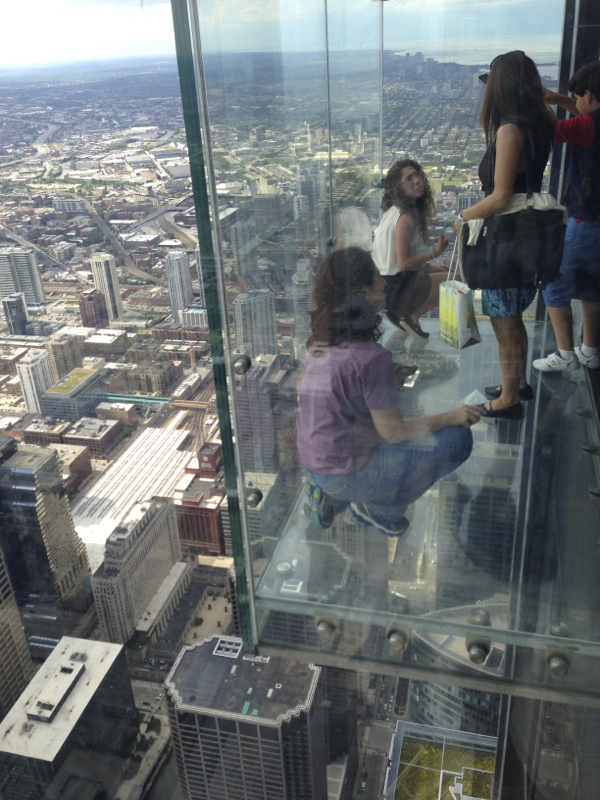 The Willis Tower has an observation deck on the 103rd floor referred to as the Skydeck. One very unique feature on the Skydeck is four glass retractable skyboxes. They let you stand inside hanging out over the street 103 floors below you. This is not for the faint hearted or anybody scared of heights. Obviously the views from the top of Chicago are pretty amazing. Looking towards the south you can see US Cellular Field next to the enormous highway. Towards the east are the rest of down town Chicago and the lake Michigan. On a clear day you can see across the lake all they way to Indiana, Michigan and Wisconsin. Willis Tower is one of Chicago’s most popular tourist attractions with more than 1,3 million people every year. I really enjoyed it, and will try and do another trip at nighttime, to see what it look like after dark. 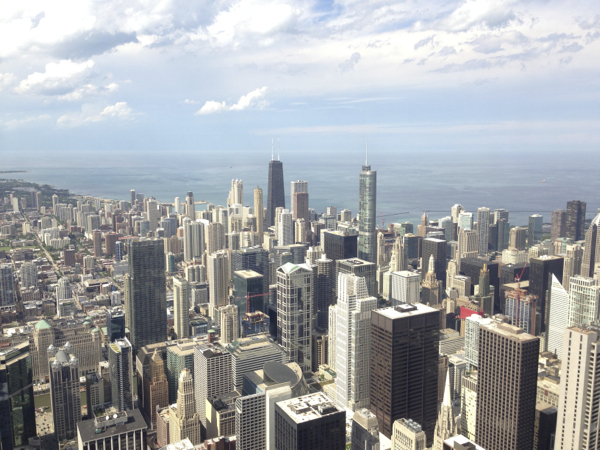 This entry was posted in Chicago, Things to do in Chicago on 2013/07/04 by Justinus.